I Am Jodorowsky’s Dune: And You Can Too! There exists good and bad news when it comes to Jodorowsky’s Dune: you both can and can’t see this film. Or, rather, you can see the film about the film but not the film the film is about. For Jodorowsky’s Dune—the never-completed film which Jodorowsky’s Dune documents—is the ne plus ultra of cinematic wet dreams. It is the brainchild of a veritable league of legends of the art world. It is, in scope, so grandiose that your conceptions of grandeur will need enlarging simply in order for you to stop and think: but for the whims of commerce, this COULD HAVE BEEN. 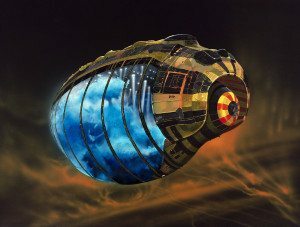 Jodorowsky’s Dune could have been. Jodorowsky’s Dune is. Does this make you happy or sad? Are you a glass half empty person, or a glass half full of untested hallucinogens person? 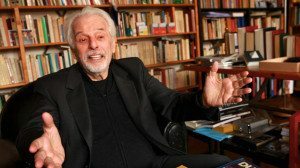 Jodorowsky tells you about how he was going to cut his arms off. That you can listen to Alejandro Jodorowsky—the captain of this cosmic, evaporated vessel—describe his vision; that you can sit by the knees of artists H.R. Giger, and Dan O’Bannon, and Chris Foss as they relate and demonstrate and reveal their insane, genius plans: it is enough to weep. It is enough to make you covet that which does not exist, as if on some other unreachable plane, in a better world, Jodorowsky’s Dune exists and you could watch it. So yes; Jodorowsky’s Dune, as suspected, is the best film you will never see. The love story of how Jodorowsky seduced the project into human comprehension and then lost it to brutal reality is compelling and fascinating stuff. As much as Frank Pavich’s documentary, Jodorowsky’s Dune, presents this tale, it is essential viewing. 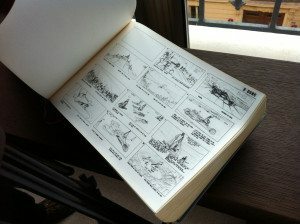 Until someone publishes a copy of one of two remaining tomes containing the production designs and storyboards that encapsulate this un-picture, or until some noble and stalwart artist converts this comprehensive set of materials into an actual motion picture, Jodorowsky’s Dune is as close as you’re going to get to Jodorowsky’s Dune. That is both the good and bad news. It is good because without Jodorowsky’s Dune, you would know nothing—of the film, of the world, of your own fractured existence. It is bad because the documentary—and frankly everything else in this sorry world—that does not commit itself to producing the picture the documentary describes seems gaunt and pointless in comparison. Most of Pavich’s documentary is tantalizing. Hearing Jodo (as they call him), director of films which birthed the cult genre—including El Topo and Holy Mountain—is a Papal mass for freak filmmakers. 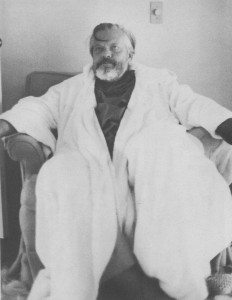 While I knew the broad strokes of what the guru had intended for his take on Dune, the specifics far exceeded my comparatively paltry imagination. To say that Jodorowsky assembled the best and brightest is to say that Hurricane Katrina was a bit of a big blow. Orson Welles as a young boy. To write the score? Pink Floyd. To play Baron Harkonnen? All 350 pounds of Orson Welles. Rejected for not being visionary enough? Douglas Trumbull, king of special effects and the artisan behind 2001, Blade Runner, and more. That is not to mention bringing H.R. Giger to the attention of the planet (and Ridley Scott, who booked him for Alien), or the committed cast that included Salvador Dali, Mick Jagger, and Jodorowsky’s own 12-year-old son, Brontis, who endured two years of 7-day a week training to prepare his mind and body for the lead role of Paul Atreides. Can you picture such a film? Jodorowsky’s Dune makes it almost possible, both a blessing and a curse. Expand your mind, friend. Take true awe and awareness into your heart and soul and then let them both go. Become Jodorowsky’s Dune. Then return, humbled, to your rote reality. If in the process of taking this journey you encounter a few talking heads that seem out-of-place, accept this as your penance for denying our own essential godhood (and for even remembering that David Lynch made a dreadful version of Dune). While director Nicolas Winding-Refn and Badass Digest critic Devin Faraci mean well, they do not belong in this club of holy madmen. Simply put; they lack the weight to comment meaningfully on this project. Their comments sound like someone’s cellphone ringing at the symphony. Also, they are occasionally oddly wrong, such as when Winding-Refn asserts that Dune failed to find studio support because the studios were not ready, and not, as it obviously was, because the Dune production team neglected to even pretend to care about profitability. But these are quibbles. As mediocre as Jodorowsky’s Dune is, Jodorowsky’s Dune is fantastic enough to overcome. Pavich does find room for some fun animation and, intentionally or not, keeps his documentary from overshadowing its subject. The entire film is storyboarded by Jodorowsky and comic artist Moebius. If someone is willing to make Jodorowsky’s Dune—preferably under the guidance of Jodo himself—I am ready to invest. If someone is ready to publish the book which so heavily features in the documentary, I am ready to purchase it. 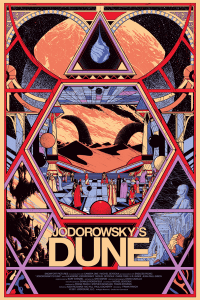 If, as the case may be, all I can do is tell you to see Jodorowsky’s Dune, well then that is what I shall do. It is by no means a perfect film, but it is about a film more perfect than ever imagined. The least you can do is see it. TOTAL Bummer! As someone who has read the hexalogy of all of Herbert’s Dune books over and over again and raged about Lynch’s Dune with Hypersonic weapons, beyond-clumsy looking shields and Kyle MacLachlan as dimple plagued Paul Atreides (well, there were some rescue-able things in that film of course), I will HAVE to watch this simulacrum of a better Dune film, because I simply have to. I know that after watching the Jodorowsky: what-would-have-been-his-Dune-film-like, I will be in a state of catatonic yearning for the film that never came to life. Gosh I would have paid ANYTHING to watch Dali as the Padishah Emperor! If shames could cry, they would be crying bitter tears. Just saw this last night finally. Wow! I thought it was really a great documentary. Fueled by the incredible subject matter, of course, but I loved it. Just Jodo talking to the camera (and his cat) would have been enough. He is a compelling man. Looking forward to The Dance of Reality; might watch it this weekend.